Author Craig Romano picks the best from his new Mountaineers Books guide. About 2,000 miles every year, Craig Romano hikes, trekking peaks and discovering off-the-beaten paths here and there. Still, what has remained tried and true is Mount St. Helens. 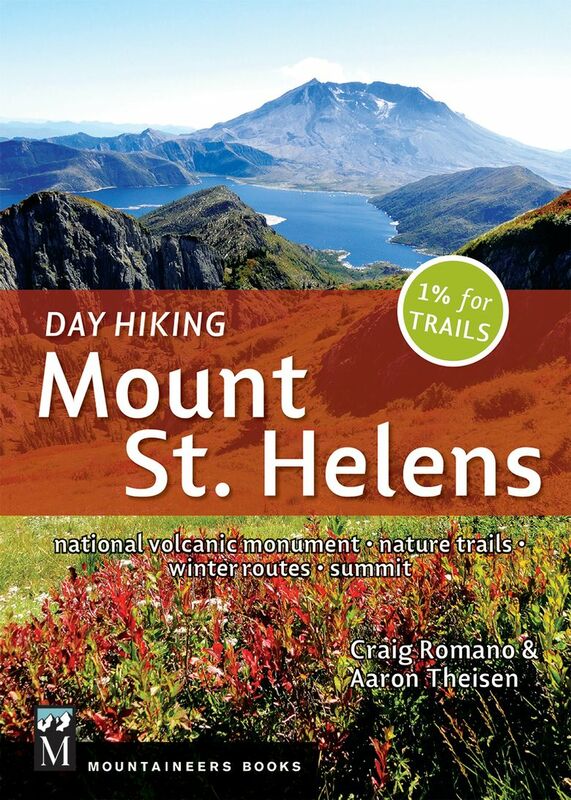 “There’s nothing else like it in the Northwest,” said Romano, who with writer Aaron Theisen co-authored a new guidebook, released in May, “Day Hiking Mount St. Helens” (Mountaineers Books, $18.95). The title is something of a misnomer since the book also covers backpacking trips, ski trails and climbing routes. Of all the feeder trails leading to the round-the-mountain Loowit Trail, the Butte Camp Trail is perhaps the nicest. The way winds through old lava flows, old-growth forest grove, and pumiced meadows bursting with wildflowers. There are excellent views and the trail isn’t too crowded or too steep. There’s not too much elevation to gain along the way, either. 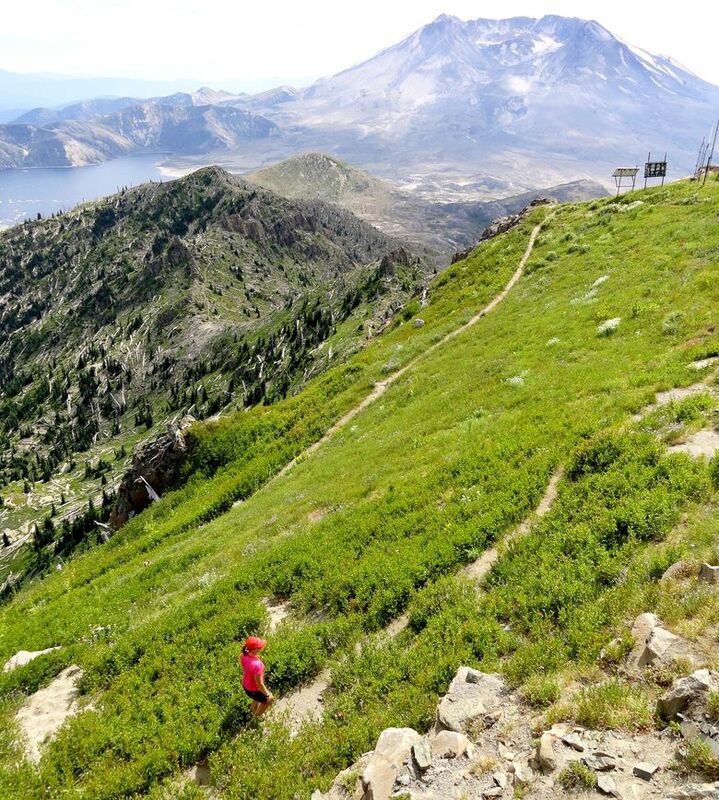 Hike across the 1980 blast zone to the mouth of Mount St. Helens’ massive crater. Then stand mesmerized gazing at a glacier-born waterfall crashing into a tight, barren chasm. It’s an awesome scene in a dynamic landscape still in flux. And despite the terrain’s harsh facade, this hike harbors few hardships. Stand upon this anvil-shaped, 5,727-foot peak and behold one of the finest views within the entire national monument. 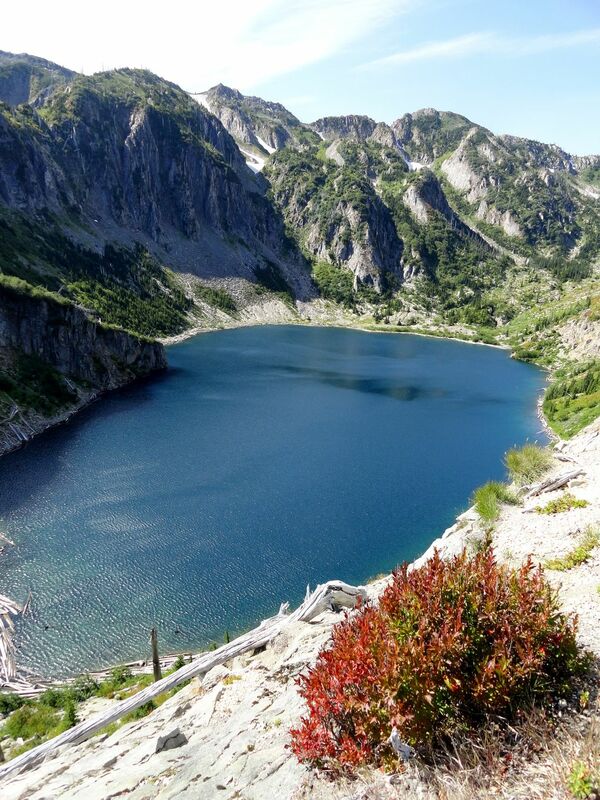 Look down from its steep, flowered slopes to sparkling St. Helens Lake in a high bowl above sprawling Spirit Lake. Reflect on the rock arch perched on a narrow ridge you had to pass through to get here. It’s a tough hike — but one of the most exhilarating and visually stunning. Hike through the 1980 blast zone to a series of alpine lakes tucked within rugged ridges denuded of their forest cover. Despite taking a full hit from Mount St. Helens’ famous eruption that leveled ancient forests and blanketed the region in pumice, the Mount Margaret Backcountry is no barren wasteland. Nature is busy recolonizing it. Wildlife and wildflowers are prolific. The topography, however, is harsh. But this rugged landscape is awe-inspiring. One of the most challenging, invigorating and exciting trails in the Northwest. Mount Whittier is more of a scramble than a hike, and not for the faint of heart. Walk along knife edges and across narrow exposed ledges teetering high above narrow valleys. Negotiate tight passages blasted into sheer cliffs while ducking below towering rock faces. Go where only mountain goats (and intrepid hikers) dare go and marvel at sparkling lakes below and craggy, volcano-blasted peaks all around you.